On the 14th May 2018 the Child Brain Injury Trust launches a new support service for young people with acquired brain injuries. The launch coincides with Action for Brain Injury Week. The new service is a Brain Injury Information Card, suitable for young people aged 11-18. The idea behind the card is that young people can carry the card as they go about daily life, and present it in situations where they need a little help and understanding. Imagine being at a train station, with a queue of impatient people behind you and you can’t find the right money to pay for your ticket. You start to feel under pressure as the people behind you get restless. Imagine that on top of this, you have a brain injury and it can take you a little longer than others to sort out the jumble of coins and notes in your wallet. Then imagine you have a card in your wallet that explains your difficulties, you hand it over, the person serving you relaxes a bit – you do too. The restless people behind you seem less important, you can take a deep breath and figure out the money. This is just one scenario in which a Brain Injury Information Card may be of help, it could equally be money for a taxi or recalling an address. Or becoming involved with local police for behaviour that seems out of the ordinary, it is not uncommon for young people with a brain injury to be suspected of being under the influence of alcohol or drugs due to communication difficulties and/or unsteady walking. Throughout Action for Brain Injury Week we will be sharing videos and blog posts from people who believe in these cards. Some know first-hand what it’s like to have a brain injury, and know how much support the Brain Injury Information Cards will be to young people. “Brain injury can lead to a wide range of difficulties in young people. Some are obvious but may be mistaken for other conditions such as rudeness, poor behaviour or even intoxication. Some are not obvious at all, meaning that appropriate allowances may not be made for the young person. 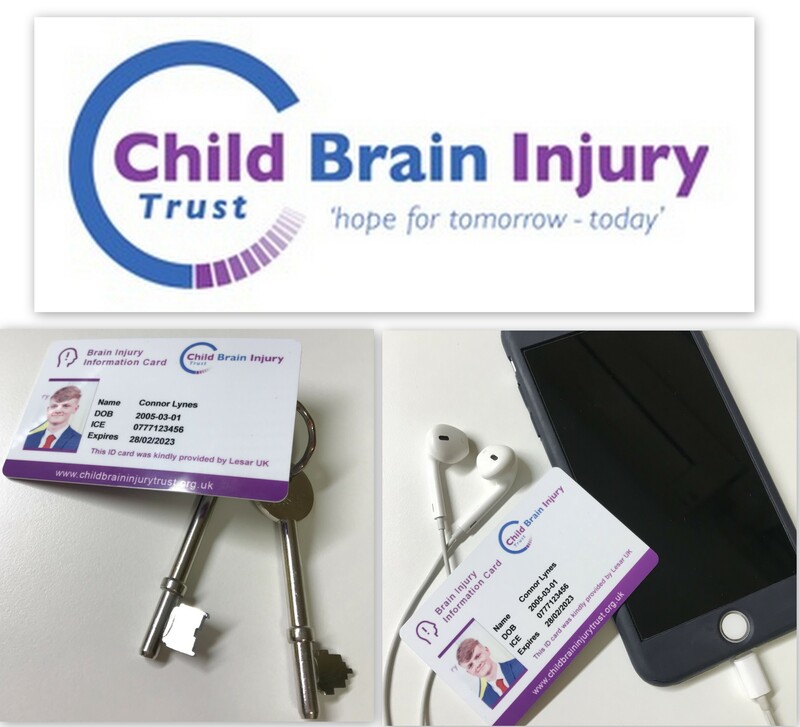 In either circumstance the Young Person’s Brain Injury Identity Card provides a vital source of identification and information in a range of social situations – I fully endorse the distribution and use of these cards.” Dr David McCormick Consultant Paediatrician, Neurorehabilitation and Epilepsy Clinical Lead, Paediatric Neurosciences, King’s College Hospital, London.